CIVCO focuses on designing, manufacturing and distributing products that improve outcomes for providers and patients around the world through high quality, innovative radiotherapy products. Today, CIVCO products help enhance life for patients undergoing radiation oncology treatments. CIVCO Radiotherapy has a solid history of innovation and growth. In 1982, Paul Korver founded Med-Tec, Inc. in Dallas, Texas, and opened a facility the next year to perform general machining. He was the sole employee of the company, doing all of the designing and machining himself, to make various products for several nuclear physicists. Then, in 1984, Paul started developing products for radiation therapy and continued to be the only employee until 1985. 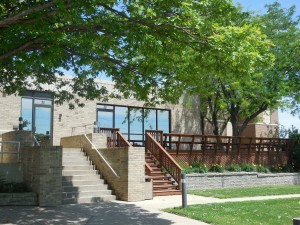 In 1989, Med-Tec opened a facility in Orange City, Iowa with three employees. A few years later, the company grew to 13 employees and in 1996, Paul and Anita Korver retired, selling the business to Clayton and Deb Korver. Successes continued, and the team grew rapidly over the next 8 years, reaching 95 employees. In December of 2005, MEDTEC, Inc. was purchased by Roper Technologies to expand their medical segment to include radiation oncology products that enhance cancer treatment outcomes through improved patient positioning and products designed to target tumor elimination. Our legal name continues to be MEDTEC, Inc., (incorporated in Iowa) and we are doing business as CIVCO Radiotherapy. In May 2006, the company’s radiation oncology product line was expanded through the acquisition of SINMED, BV located in The Netherlands to add additional global market presence. 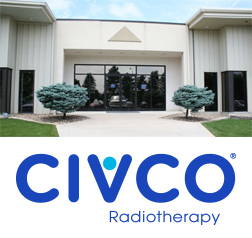 Today, CIVCO Radiotherapy has offices located in Coralville, Iowa; Orange City, Iowa; Singapore and London, with approximately 120 employees located across the U.S., Europe, and Asia. Diamond Vogel Paints was founded in 1926 by Andrew Vogel, a Dutch immigrant. This paint manufacturer operates seven production facilities, services the Midwest with over seventy retail centers, and employs over 800 people. Vogel manufactures residential and commercial paints and stains, industrial and OEM finishes, industrial maintenance coatings, and home decorating products and the firm recently achieved ISO 9001 certification. Sales exceed $150 million annually. 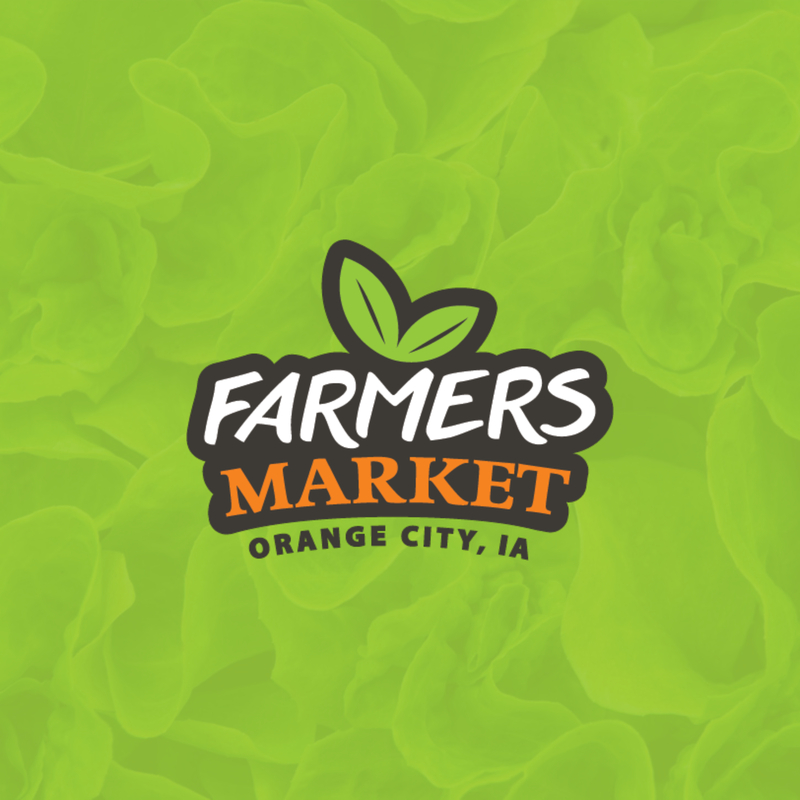 Recent company expansion led to the selection of Orange City as site for a new $8 million, 50,000 sq. ft. state-of-the-art powder coating manufacturing and distribution facility. AIM Aerospace – Quatro Operations was formed in May 1997 for the purpose of researching, designing, developing and manufacturing performance-inspired composites products. Initially, Quatro primarily served the sporting goods and consumer product markets. Over time, Quatro found that its processes were capable of producing parts that would meet the demanding specifications of the aerospace and defense markets. Today, Quatro Operations of AIM Aerospace employs over 100 people in their Corporate Offices / Manufacturing / Distribution center in Orange City, IA. The Poway, CA facility employs over 30 people and operates as the leading engineering and technology center for AIM Aerospace. For more information on employment opportunities, please visit our website and apply today. EZ-Liner is a leading manufacturer of striping equipment and traffic paint used worldwide by commercial contractors, government agencies, airports and athletic facilities. From truck to pick-up mounted units to walk behind models, a wide range of applications are possible including parking lot striping, highway delineation, street marking, runway marking, and athletic field marking. In the 1990’s E-Z Liner, a Vogel family company, lead the industry in developing latex paints and waterbased-compatible equipment. EZ-Liner and Vogel Traffic Services contract for state/county highway marking projects. The companies employ 50 people from the area. Old Masters was founded in 1953 by paint salesman, Richard Ketcher who experimented with various formulas to be used in wood graining and “antiquing”. After much trial and error, he logged the perfect formula and contracted with Diamond Vogel Paint to make base paints. In 1977, the business was sold to Vogel Paint, Inc. and the Old Masters division with three employees began. Over the years, new products have been introduced such as quick drying, tintable penetrating stain, a full line of oil-based urethane clears and TM paint removers products, Scratchide touch-up pens and H2O Waterborne Clear Finishes. Today, Old Masters is available in the United States, Canada and Mexico thru independent dealer network. In early 2019, Old Masters completed a 25,000 sq. ft. addition creating a 54,000 sq. ft. distribution and office facility. From a state-of-the-art healthcare facility to a first-class retirement community, progressive health-care and personalized people-care are top priorities at Orange City Area Health System. In May 2006, OCAHS opened a new award-winning $28 million regional medical complex in Orange City centered around patient and family comfort. A staff of 500 gifted medical professionals, skilled employees, and dedicated volunteers are working together to serve families throughout the three-county area. This municipally held non-profit proudly delivers the best possible care–right here in our own community. Smithfield specializes in the sourcing, production, sales and distribution of all proteins for use by the pet care industry, with guaranteed supplies of pork, beef, poultry, fish, lamb and many other exotic proteins. Our unique sourcing, production and distribution model makes PPH the leading protein vendor in the US pet food industry. Smithfield specializes in the production, sales and marketing of all-natural dog treats. Our consumer brand AMERICAN FARMS™ provides consumers with a line of 100% All Natural Dog Treats made from Pork and Beef, raised on American farms and manufactured in the United States. We also market a line of wholesome dog treats under the ANIMAL PLANET® brand, providing consumers with a line of Crunchy and Chewy Biscuits made from all-natural ingredients like real meat, fruits and vegetables. Revival Animal Health is a catalog and internet based provider of pet products with customers based in all 50 states and internationally. Cat and dog breeders, pet stores, shelters, groomers, veterinarians and personal pet owners all rely on Revival to provide them with quality products at affordable prices. Our knowledgeable sales staff can help customers choose the right products to fit their needs. We carry over 2000 products including flea & tick topicals, nutritional supplements, medications, microchips, grooming supplies, stain and odor remedies, treats, toys, vaccines, wormers and more. Revival has been in business since 1989. The business has experienced tremendous growth over the past several years and currently employs over 70 full and part-time employees in its Orange City and Mapleton, Iowa facilities. Started in 1956 producing tag axles for area customers, Silent Drive Inc. was purchased in 1972, by former owner and President, Wilbur DeJong. It is now owned by Mark De Jong keeping it in the family. Silent Drive has grown from a regional manufacturer supplying a few primary products to agricultural markets to an industry leader. The firm now manufactures air suspensions for liftable tag axles and pushers, plus drive axles suspensions for trucks and trailers using state of the art technology for design and testing analysis. The ready-to-install system and underarm air spring lift concept was pioneered by the engineers at Silent Drive. The company employs 40 people. Staples Promotional Products specializes in development, promotion and extension of corporate and brand trademarks through logoed merchandise. The company is the largest promotional products distributor in the U.S. They offer unparalleled capabilitities and services in corporate catalog programs, special order request, eCommerce solutions, company store operations rewards and recognition programs, special event hospitality, custom designed merchandise, and a line of proprietary apparel merchandise. The Orange City location provides sales and marketing, administration, warehouse and distribution, embroidery and screen printing. The company employs about 400 people in the Orange City facility. Since 1991 Van Beek Natural Science has developed and offered a wide range of natural products in the animal nutrition market. Van Beek Global manufactures and distributes all natural nutraceuticals designed to treat gastro-intestinal conditions in livestock and companion animals. Van Beek Global products are sold all over the U.S. and around the world and the local workforce consists of 65 employees.